My brother and sister-in-law run an award-winning company called Lightbourne that creates book and CD covers and interiors as well as doing web site and ad design. 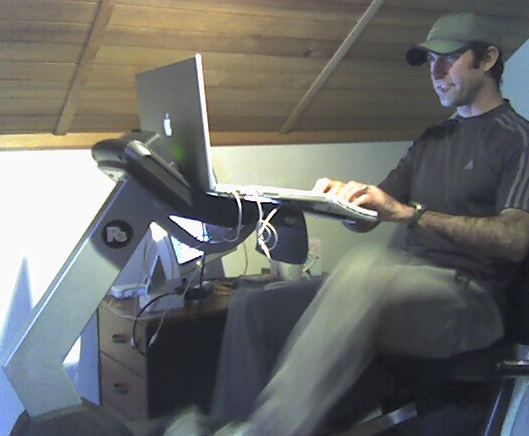 To get more exercise they bought a stationary bike with handles that could be adjusted to hold their laptop and a keyboard. They switch back and forth and each ride about two hours a day at an easy pace as they're prepping for the Mickey Marathon in Orlando next month. The next step: wire it to generate electricity!